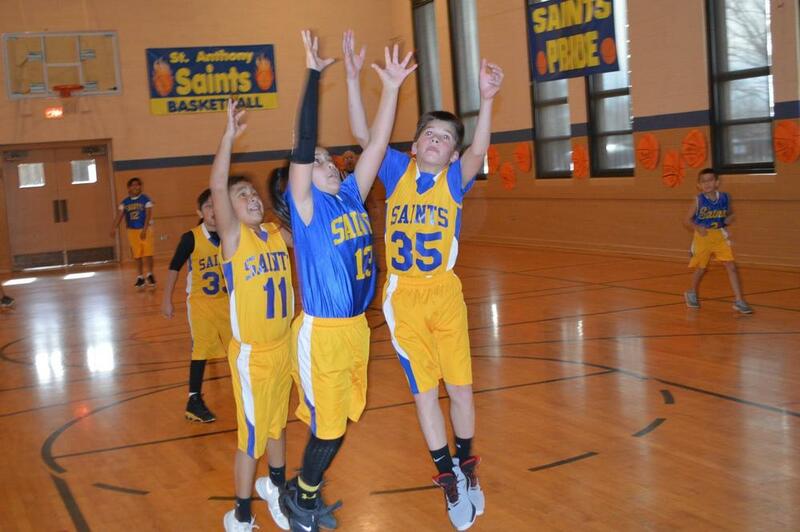 St. Anthony School Basketball Program creates a positive and respectful environment while assisting students in achieving their God-given talents while modeling the vision of St. Anthony School of developing Gospel values, a commitment to service, and strong academic skills in each student. Provide a positive experience as we put winning and competition into perspective. We support putting our Athletes first and winning second while teaching sportsmanship and values. Team unity, modeled and encouraged by teammates and parents with respect, loyalty, and honesty to all. Cheering on teammates and showing our Saints pride. Create fun while working hard. Learn techniques for individual skills and team concepts…for events, for competition, for life.